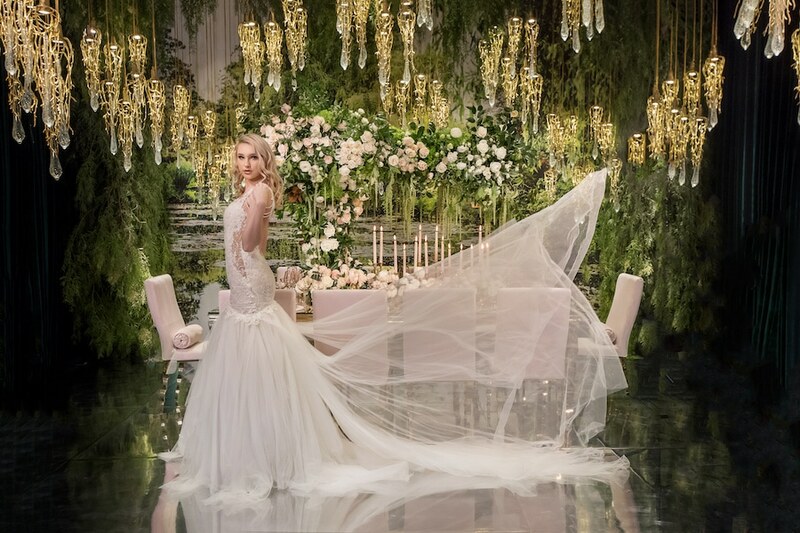 Naama and Anat have collaborated with Revelry to create a gorgeous dreamlike scene out of a fairytale storybook to showcase Naama and Anat’s alluring gowns. 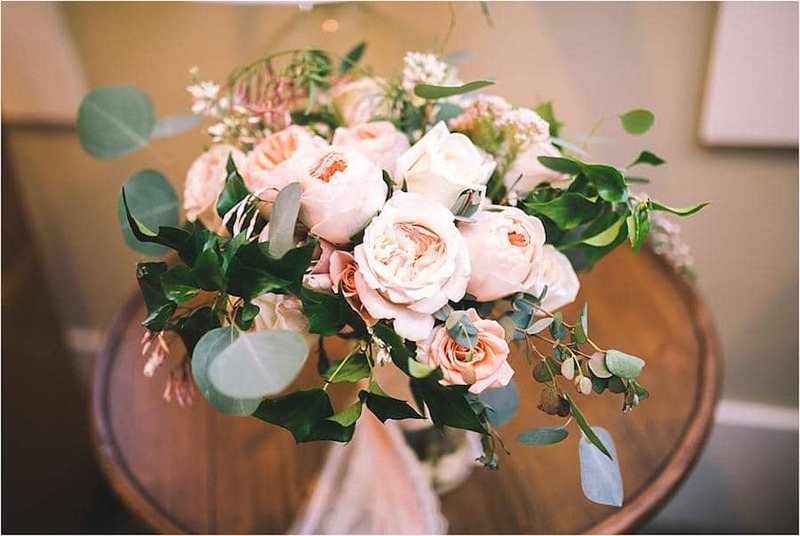 This whimsical picturesque scene was photographed by Katie Beverley Photography. She seized the opportunity to utilize the captivating display created by Revelry to shine our gowns in a beautiful light. 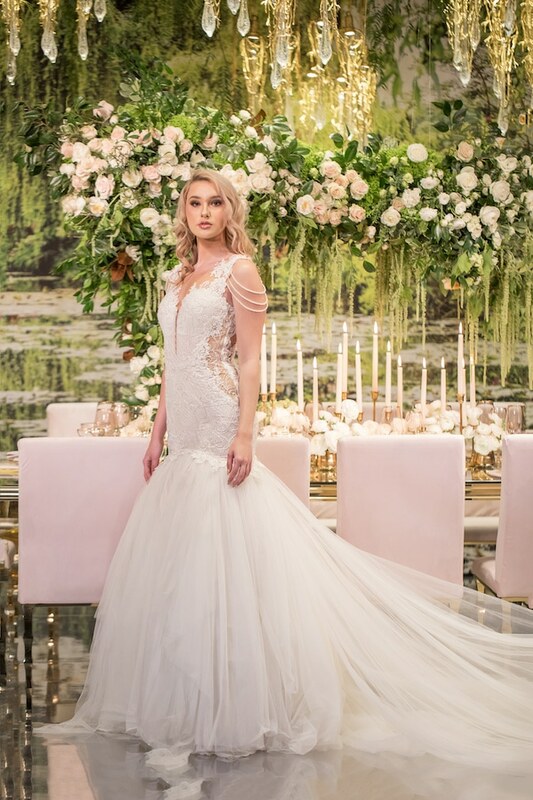 Our Amore and Diva gowns; a crowd favorite, took center stage to capture the beautiful details and uniqueness of each design. 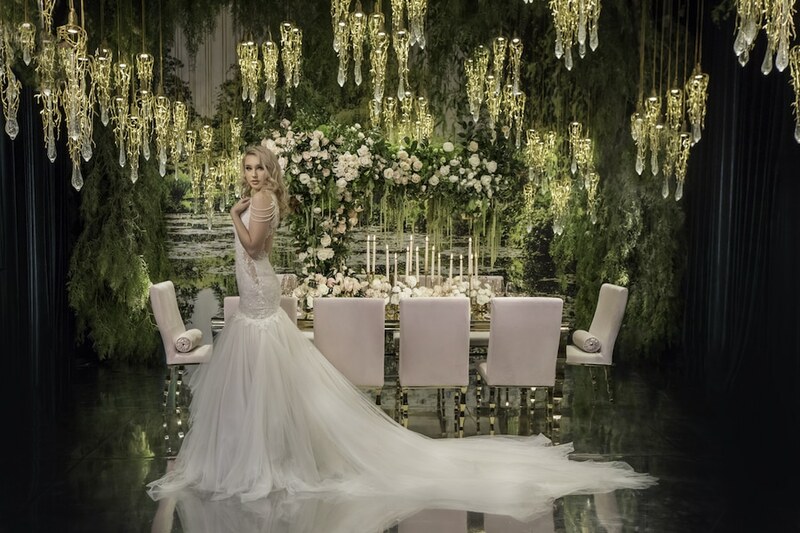 A warm hue of ambient lighting that radiated throughout the venue provided by The Lighter Side set the tone for the whole shoot. 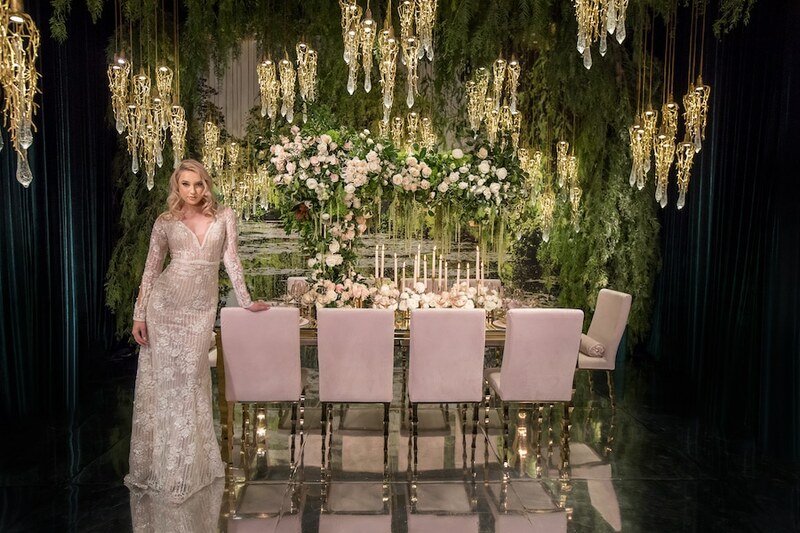 The tabletop design included enchanting teardrop chandeliers by Revelry Event Designers, soft flowers in hues of blush and champagne by Celio’s Design, along with wild forest greenery all around. White and gold furnishing pops against the dark green backdrop that created an immaculate high gloss dance floor . The gold dinnerware by Sharon Sacks and pink glassware by Casa De Perrin completed the look. 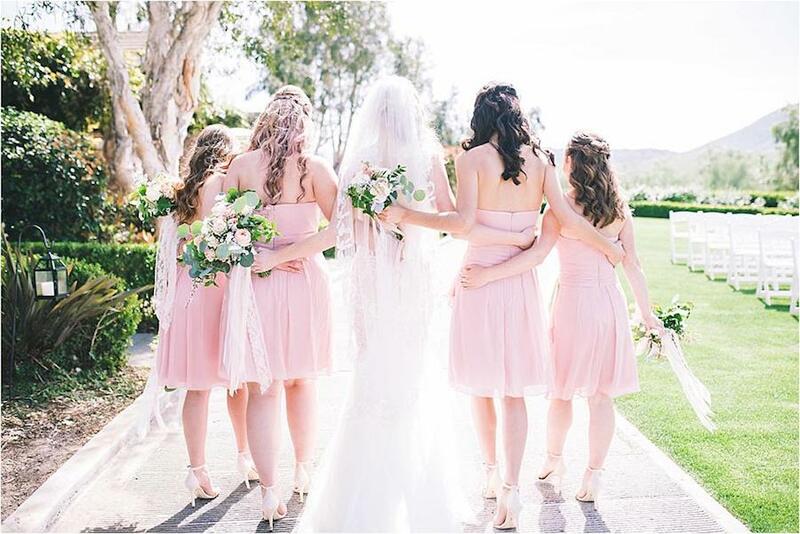 We are excited to see our beautiful bride Carol Ann in the Devine Gown and her radiant California Wedding featured on California Wedding Day. 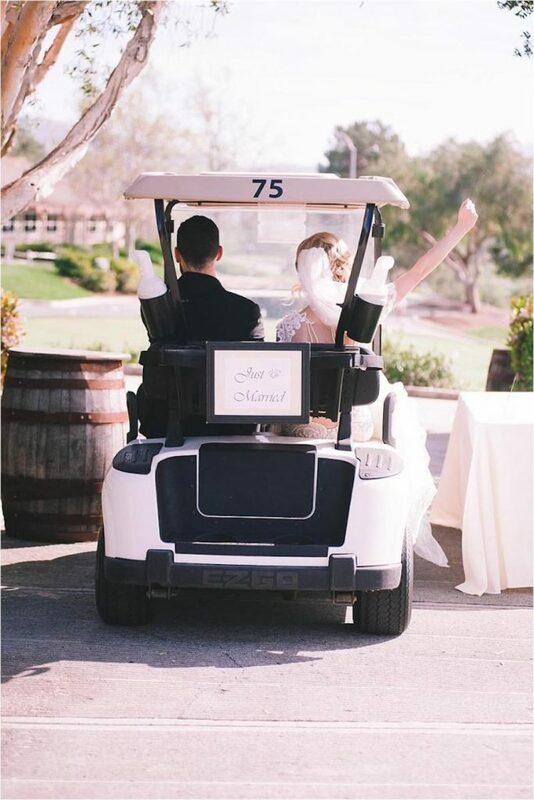 A sunny March afternoon proved to be the perfect day in San Marcos, California for Carol Ann and John’s luxurious wedding day at Twin Oaks Golf Course. 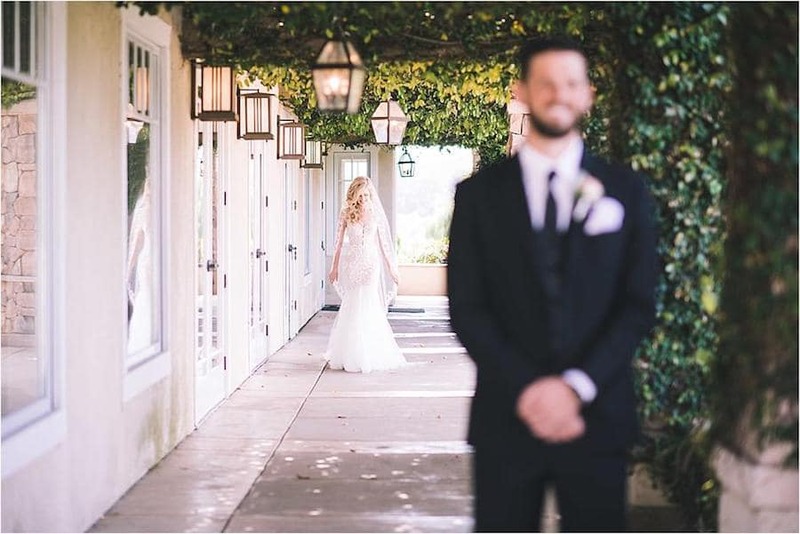 The venue’s ivy-covered walkways, rustic details, charming style and million-dollar mountain views provided everything Carol Ann desired in a wedding location. 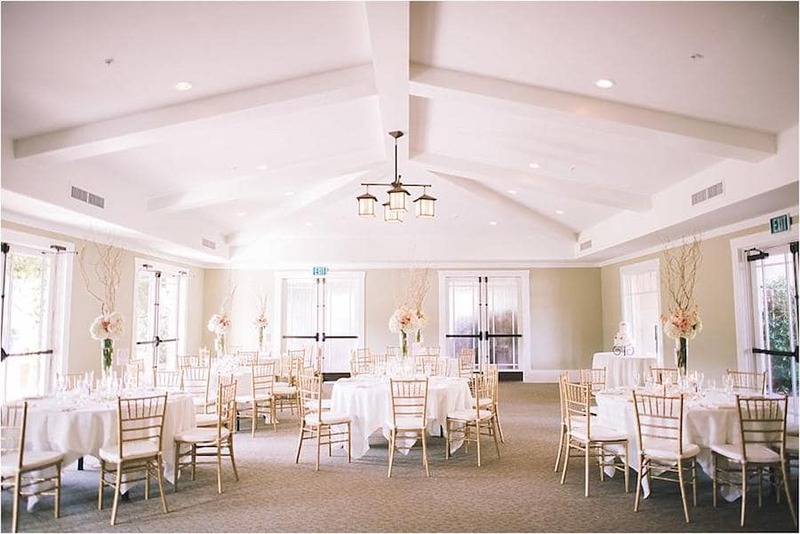 Having grown up right across the street from the venue, she knew that it would be the perfect spot for her fairytale ceremony and reception. 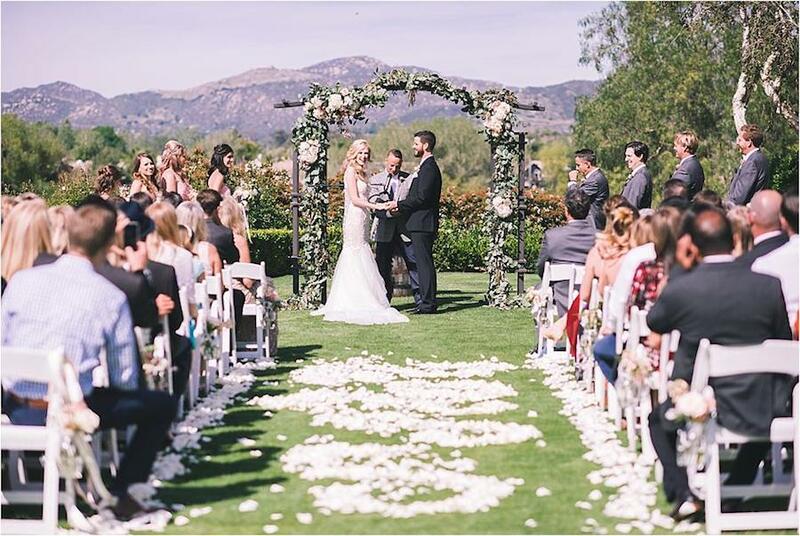 A luxurious ceremony site with a petal-covered aisle and breathtaking view of the mountains set the scene for Carol Ann and John to say their “I do’s”. 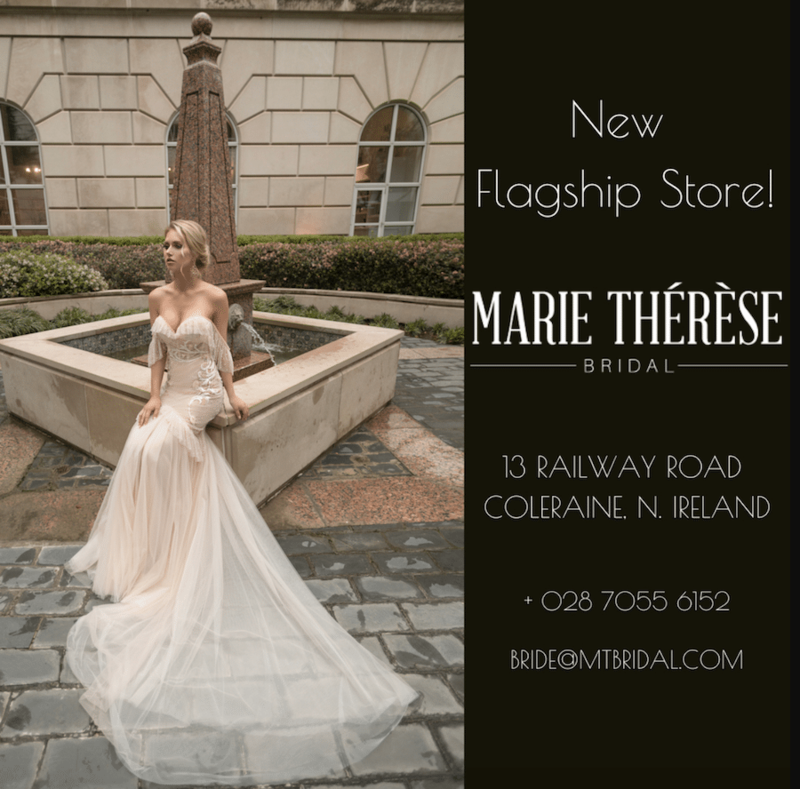 We are proud to announce our new partnership with Marie Therese Bridal, designating this our first Flagship store in the UK! 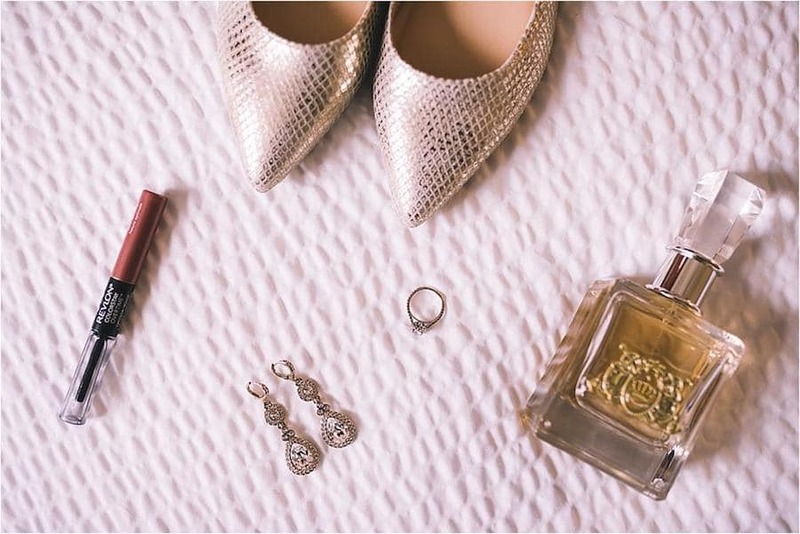 The bridal salon boasts of housing only the most cutting-edge and stylish gowns, and is thrilled to be the catalysts for our European market. 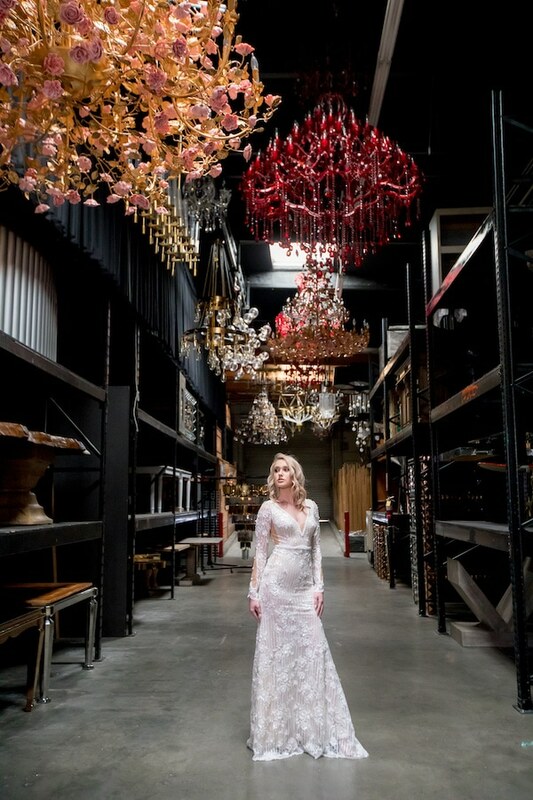 The award-winning store believes that this marriage between companies will be beneficial for both of us, and will even house our entire gown collection in their Northern Ireland store. We are thrilled to share this exciting launch with you! 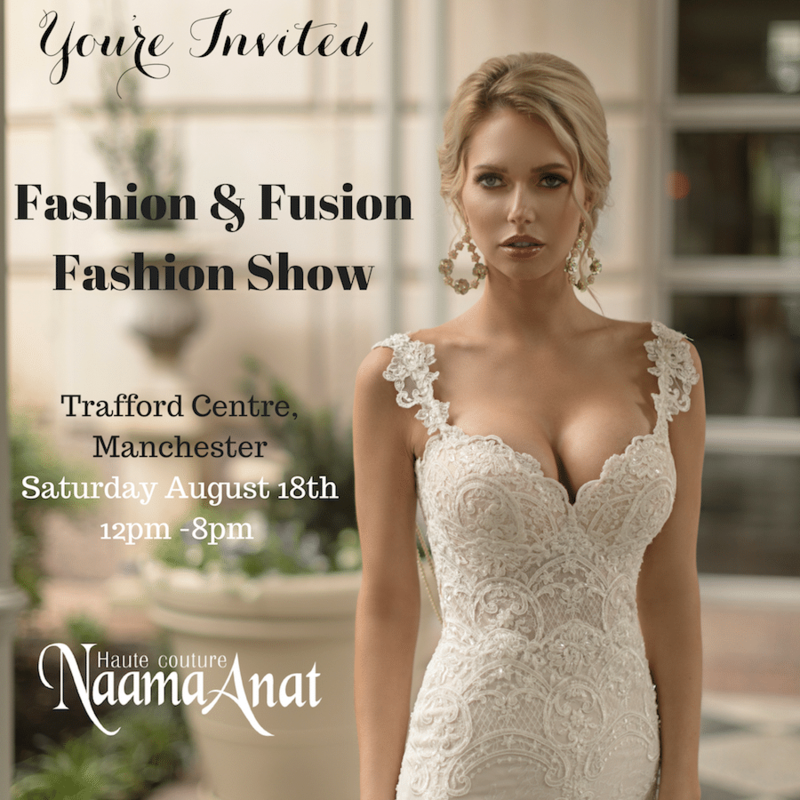 Come join us at the Fashion & Fusion Fashion Show located at Trafford Centre, Manchester Saturday August 18th presented by the Asian Lifestyle Expo. Check out the beautiful gowns we will be showcasing! Experience the best of Asian Fashion & Fusion at the Trafford Centre. We’ll be bringing together Asian businesses, artists and getting you up to date with this year’s emerging fashion trends, entertainment and an insight into best of what the Asian community has to offer from around the UK. Don’t miss this chance to witness our gowns walk to runway along with other high-end Asian luxury brands showcasing their latest & trendy collection! 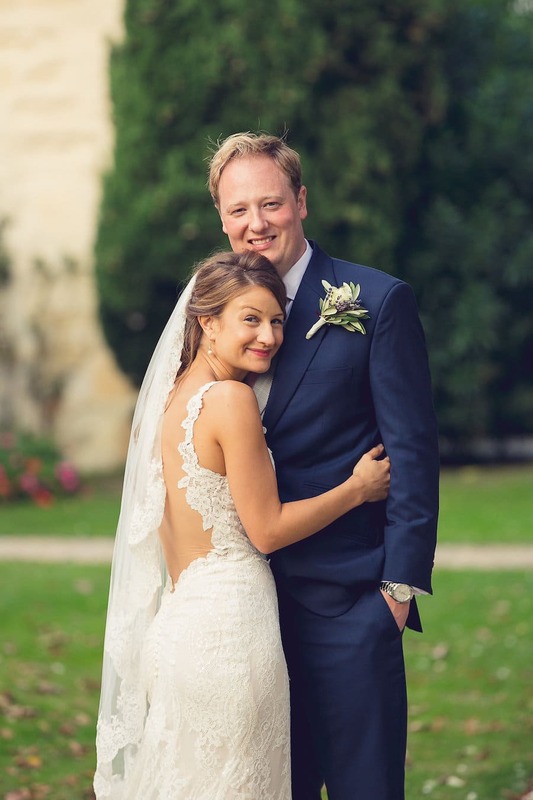 Naama & Anat Haute Couture real bride Natalia wed her fiance Tom in a gorgeous French wedding at Le Mas de Peint located in the south of France. Natalia and Tom first met at a New Years party in 2009. 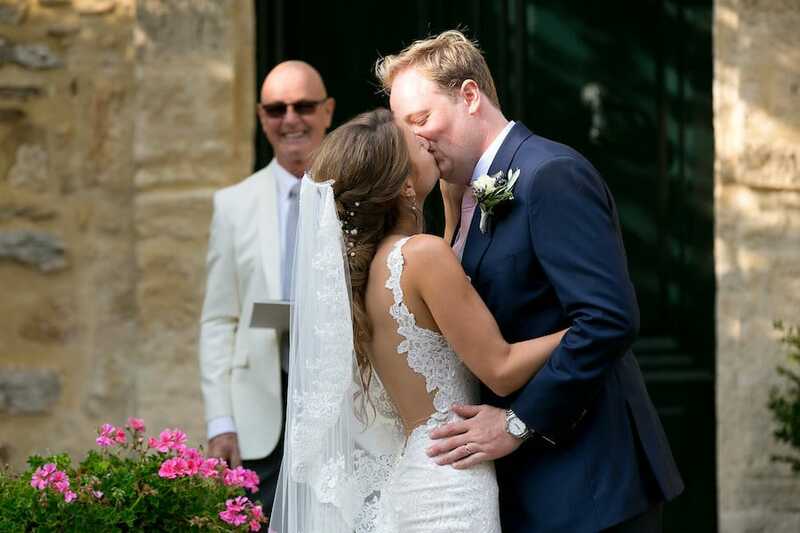 Seven years down the line they tied the knot on October 1st, 2016 in the south of France. 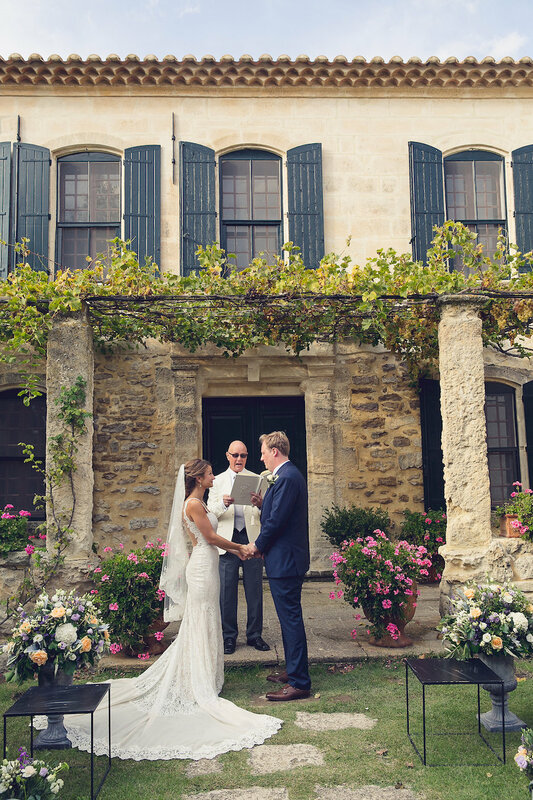 The beautiful ceremony was held on the elegant estate of Le Mas de Peint. After many happy holidays in the beautiful country, they knew there was no other place to celebrate their love. 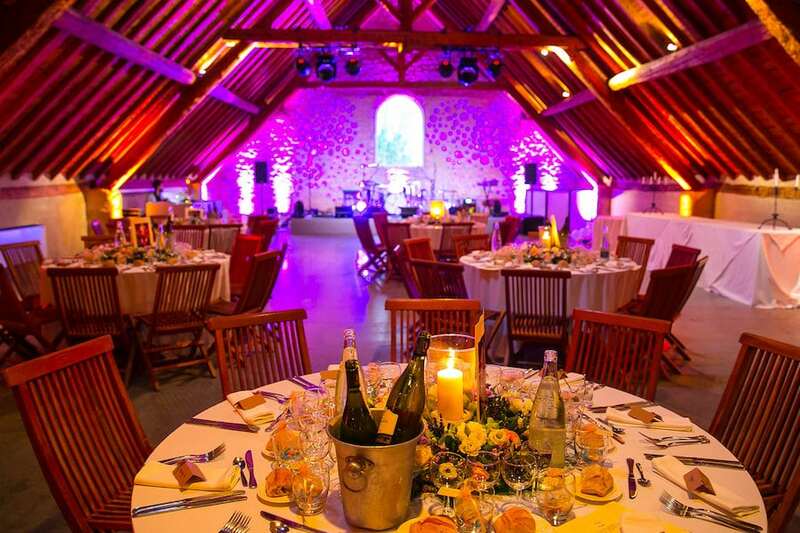 Elegance radiated throughout the venue, from the rustic feel of the estate to the lush landscape of the courtyard. 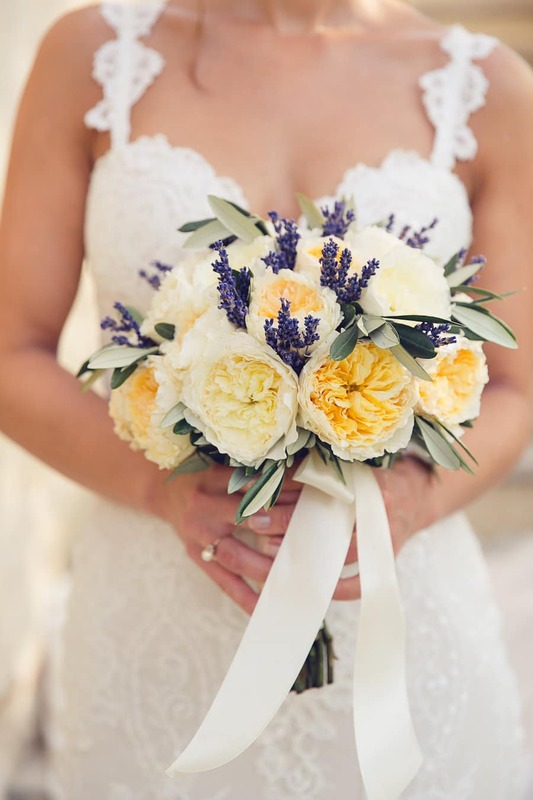 The gorgeous flower arrangements designed by Flowers by Pascale at Boutique Aromatics brought pops of stunning pastel yellow to the scenery. 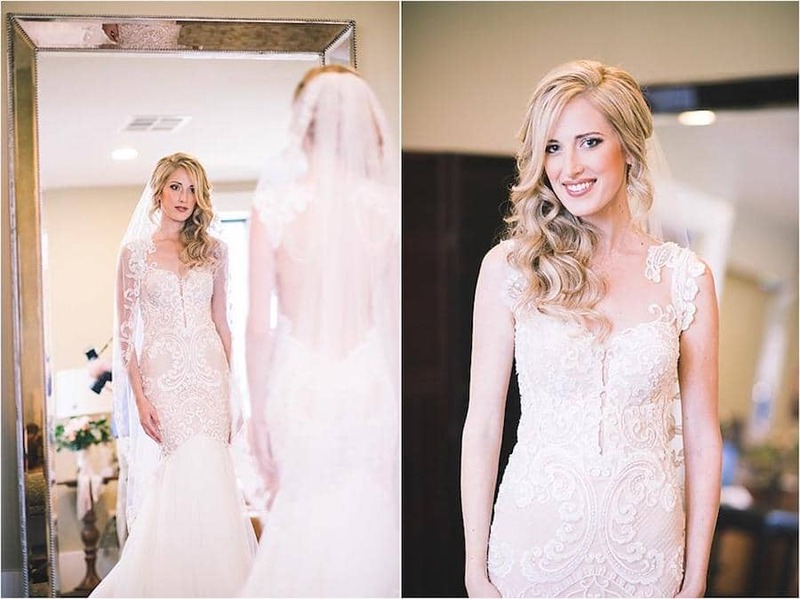 Bride-to-be Natalia chose our Nobility Gown to complete her exquisite look. Natalia looked ravishing as she entered the courtyard where her husband-to-be was waiting for her with pure bliss. 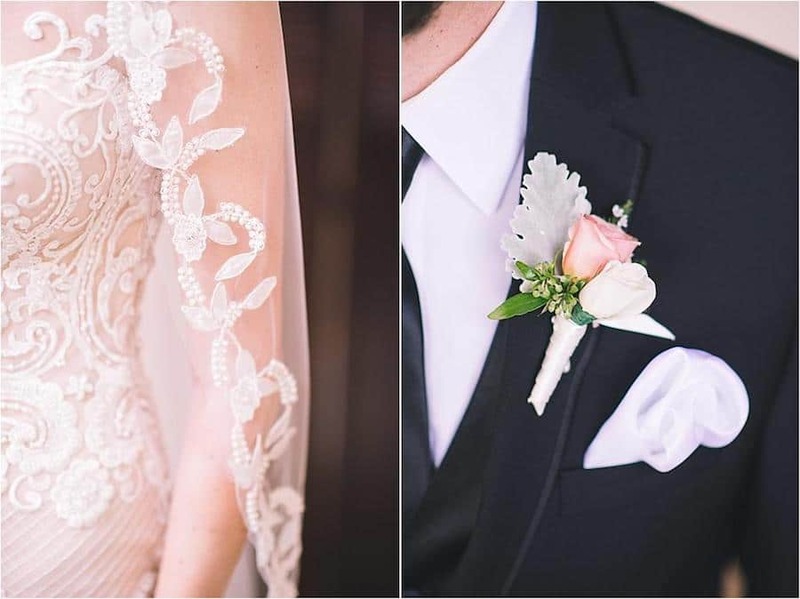 The Nobility gown that encompassed a fitted lace bodice and embroidered lace details acted as the perfect compliment to walk down the aisle of her romantic outdoor ceremony. The ceremony was conducted by Natalia’s very own beloved Godfather, Noel. Tom and Natalia looked in awe at each other as they stood in front of their family and friends on their special day. The tender moment when the couple recited their heartfelt vows to one another was captured by Dominique from Studio Cabrelli. 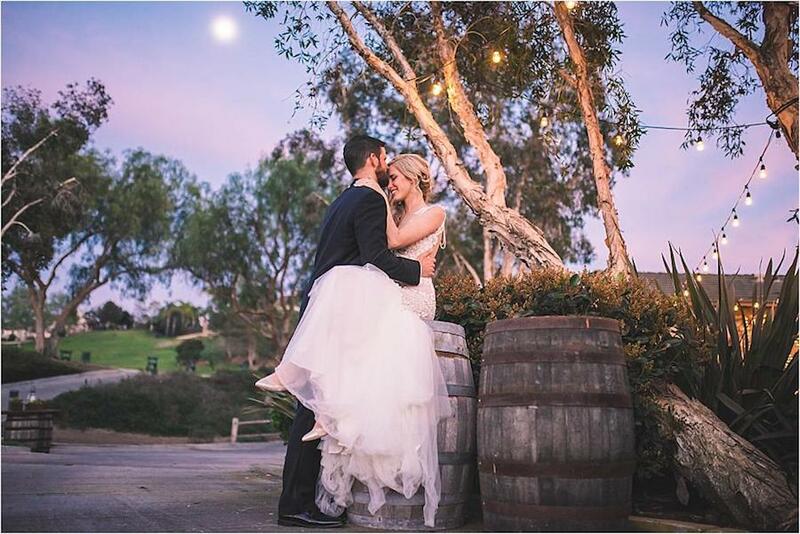 After the couple sealed their romantic ceremony with a kiss, the guest made their way to the sunset feel reception to dance the night away. 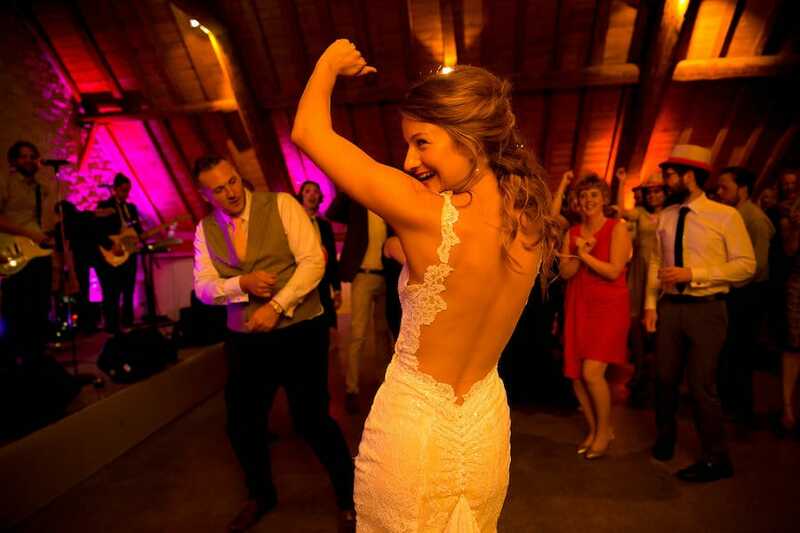 The reception was located in a rustic 17th-century farmhouse and decorated beautifully by the couple themselves. The guest enjoyed a delicious meal catered by the team at Le Mas de Peint. However, according to the bride Natalia, all credits go to their band, Four Kicks. Guest celebrated the night away until the early morning of 4 a.m.